This is one of the most intriguing conversations in the book of Numbers; if not all of the Old Testament. 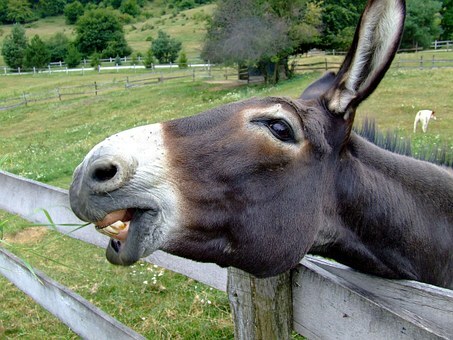 The donkeys asks, “What have I done unto thee?” Balaam has struck the donkey on three separate occasions. The donkey, weary of being struck, inquired, “What have I done unto thee that thou hast smitten me these three times?” Balaam smote the donkey because he did not realize the donkey was doing something FOR him, not TO him. There are times in life one may become angry with God because we can’t see that God isn’t doing something TO me, but FOR me. We don’t get a lot of snow in Birmingham, Alabama, but I do remember a few years ago when a snow and ice storm caught everyone unawares. People had to sleep in their offices; some even had to spend a cold night in their car. But there is one story I will never forget that came from the storm. One lady caught a ride from a fellow employee in his four wheel drive truck. The lady who lived up a steep hill was dropped off at the corner street from her house because even the four wheel drive truck couldn’t make it up the hill. The lady began her walk on the icy road; she slipped and fell cracking her teeth on the ice and receiving a “slight” head injury. She was taken by paramedics to the local hospital. They found there was not just cracked teeth and a slight head injury, but the beginning of a brain tumor which they were able to take care of immediately. If she had not fallen on the slippery ice, the tumor would not have been discovered early enough to cause only minor damage. ✞ Not everything you think is negative is! !